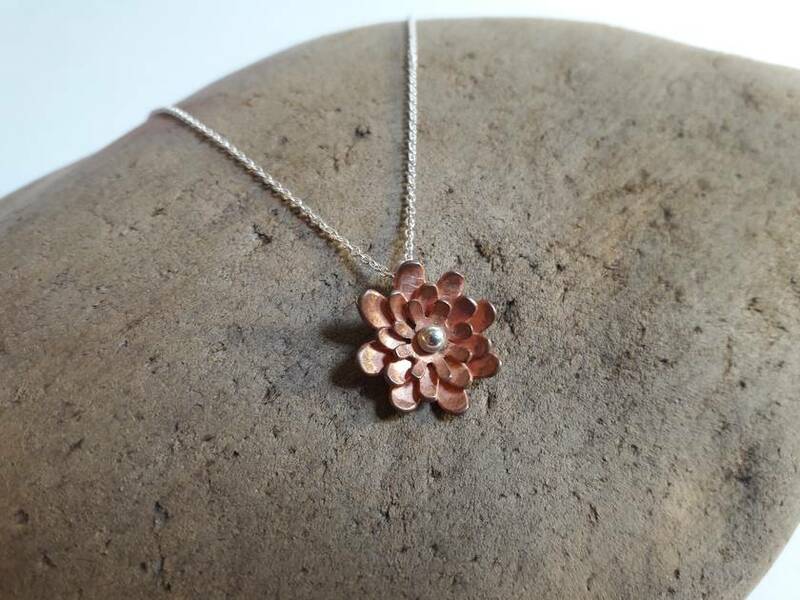 Delicate copper flower pendant formed from three nested layers of copper petals with a sterling silver pistil. 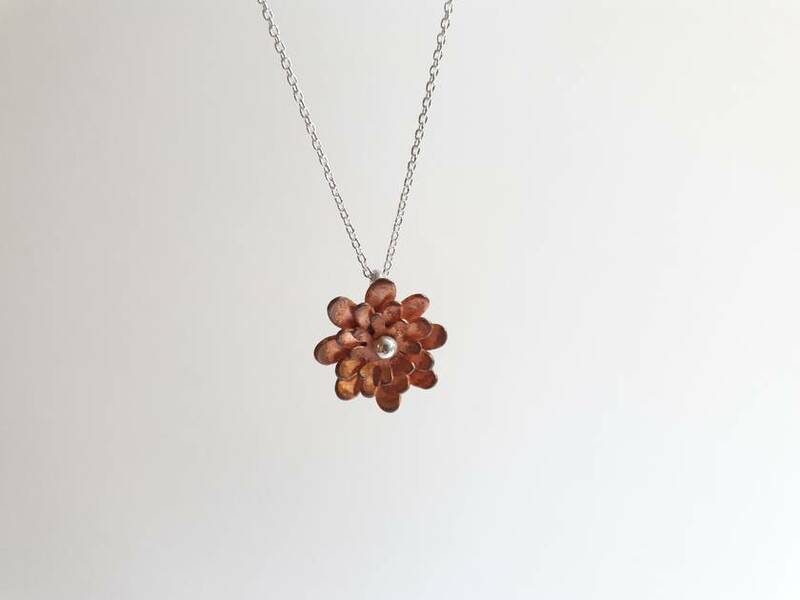 The pendant comes with a sterling silver cable chain (45cm). Please note that all items are handmade and unique. 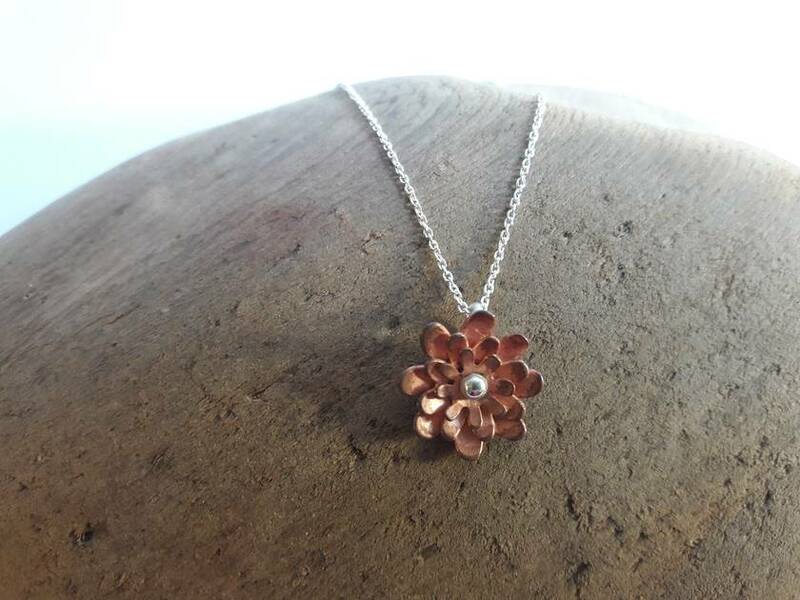 Contact rurujewels to enquire about payment or shipping options.